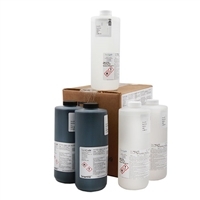 Keep your BestCode Ink Jet system working in top condition with these Maintenance Filter kits. Choose by model and filter life. If you don't see the BestCode parts you need below, give us a call at 1.800.323.8519. BestCode MEK Makeup Solvent. Sold by the case. Includes (5) 32 oz. bottles of BestCode MEK Makeup Solvent. BestCode P/N 52-0001-01. BestCode Cleaner - MEK. Sold by the case. Includes (5) 32 oz. bottles of BestCode Cleaner - MEK. BestCode P/N 50-0001-01. 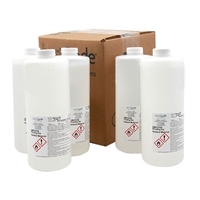 BestCode makeup solution made for Acetone or Ethanol inks. Sold by the case. Each case contains (5) 32 oz. bottles. BestCode P/N 52-0027-01. BestCode ink & makeup combo pack of MEK Black ink and MEK makeup. Includes (2) 32 oz. 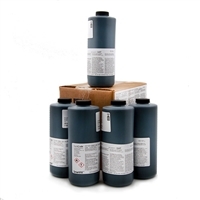 bottles of MEK Black ink and (3) 32 oz. bottles of MEK makeup. BestCode P/N 51-0001-01. BestCode Makeup - FastDry MEK. Sold by the case. Includes (5) 32 oz. bottles of BestCode Makeup - FastDry MEK. For use in Model 81 ONLY. BestCode P/N 52-0081-01. BestCode Makeup Ethanol Black. Sold by the case. Includes (5) 32 oz. bottles of BestCode Makeup Ethanol Black. BestCode P/N 51-0012-01. BestCode Ink - MEK Black. Sold by the case. Includes (5) 32 oz. bottles of BestCode Ink - MEK Black. BestCode P/N 51-0001-01. BestCode Makeup- Acetone/Ethanol Super Flex. BestCode P/N 52-0026-01.